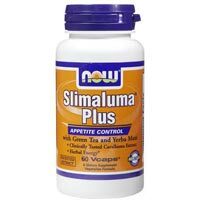 Slimaluma Plus is the patent name of the weight loss supplement drug form of Caralluma Fimbriata. It is a plant that has been used in India for centuries in order to suppress hunger in times of famine. It is used as a regular ingredient, cooked in the same way as vegetables, as well as included in preserves or simply eaten raw. As a supplement called Slimaluma, it is marketed as a product in the form of a pill or capsule, that will block fat from accumulating and stops the sensation of being hungry from being produced by the brain. According to these claims, if you don’t feel as hungry and your body is blocked from accumulating fat, then you will lose weight much more easily. Though this should be especially true if used in conjunction with a diet that includes reasonable portions, healthy nutrition, and regular exercise, which are actually the keys to weight loss, nothing on any of the marketing materials for Slimaluma Plus mentions that they recommend proper diet and exercise in order to reap the best benefits from the drug. 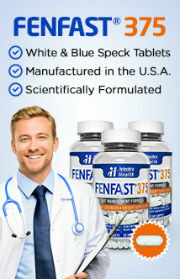 There have been only two clinical trial performed on this drug using humans, one of which was held in India, and one which occurred in the United States. 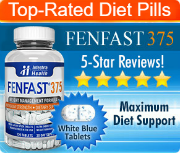 Though neither of these trials actually proved that the drug actually works for effective weight loss, they both did clearly show that as long as it is taken strictly according to the directions on the label, it is safe for human consumption. That being said, the drug has not yet been either evaluated or approved by the FDA, so it’s efficacy has not been accepted by the official agency for the United States. Slimaluma Plus includes many other herbs and vitamins such as Caralluma Fimbriata, Yerba Mate and Green Tea; and Slim 10, which contains 10 popular diet pill ingredients like Slimaluma and Hoodia. It should be noted that Hoodia – though it has received a great deal of press – has never been shown to be beneficial to weight loss in a single scientific trial. Furthermore, green tea, though it can be beneficial to weight loss, is required in larger quantities than are likely contained in Slimaluma Plus by Now. The greatest benefit from that ingredient is likely the caffeine since it gives an energy boost and will flush out extra water from the tissues, which will give the illusion of weight loss for a short while.